‘Thank You, Comrade Stalin!’ by Jeffrey Brooks is written with the intention of explaining the functions of Joseph Stalin’s personality cult. The book covers power dynamics in the Soviet Union from 1917 to his in death 1953, and the implementation of de-Stalinisation. Brooks’s major argument is that because of the states monopolisation of information, the Soviet Union was able to carefully construct a unique cultural understanding for their citizens, which emphasised Stalin as the provider of great economic and social prosperity. Social and economic “gifts” from Stalin were used to justify an obligation on Soviet citizens to work hard, contribute and conform. However, Brooks adds that this constructed cultural understanding for citizens ultimately led to the demise of the Soviet Union. Brooks was able to construct his argument with a quantitative approach to his research, using of a range of primary resources. Jeffrey Brooks continuously refers to contemporary readings of the press, sampled newspapers and propaganda posters, mainly from the newspaper Pravda. Brooks’s quantitative approach allowed him to discover a number of reoccurring themes in Soviet literature, which became essential to his argument. These themes included an emphasis on metaphors such as “the path”, “the line”, and “the gift” in media outlets.1 The bulk of Jeffery Brooks’s book focuses on the utilisation of “Socialist building”. According to Brooks, Socialist Building was an initiative by Stalin, which drastically changed the political system by limiting public discussion and replacing the previous societal understanding of authority. David Hoffman’s book ‘Stalinist Values: The Cultural Norms of Soviet Modernity, 1917-1941’ is a worthy contribution to “The Great Retreat” debate stimulated by Nicholas Timasheff. Timasheff argues that in 1934 the offensive broke down, and the Soviet state began to withdraw from its commitment to the socialist ideology.2 Hoffman disagrees, and declares that at no point did Stalin articulate a retreat from socialism. He adds that Stalinism meant a continuation of a commitment to social transformation, and the creation of the New Soviet Person. Hoffman contends that this was a sharp contrast with traditional Tsarist culture. Hoffman also addresses the supposed ‘retreat’ to a patriarchal view of the household in the Stalinist era. Hoffman instead explains it as a measure to deal with low birth rates rather than a withdrawal from the socialist ideology. These changes in social policy should instead be understood as pragmatic measures used to maintain the Socialist state in a time of great political stress. Brooks’s understanding of the functions of Stalin’s cult of personality helps to develop Hoffman’s argument against the idea of a “great retreat”. Hoffman stresses that although some of Stalin’s policies had not derived from a socialist ideology, the states infrastructure remained fundamentally socialist under Stalin, and thus no retreat was undertaken. Hoffman writes that “Presenting Stalin as the personification of the Soviet system provided a tangible symbol to which individuals could attach their loyalty. The cult provided a human face that appeared to care about people’s welfare”.7 Hoffman is suggesting that Stalin’s cult of personality was a powerful tool in restructuring society’s understanding of power dynamics in the Soviet Union. ‘Thank You, Comrade Stalin!’ develops Hoffman’s argument of a Socialist continuation under Stalin, because it offers a tangible explanation for the use of an authoritarian cult of personality in a socialist society. Stalin. Stalin was responsible for the provision of all social benefits and all that was good in Soviet life according to media outlets. This understanding of Stalin’s personality cult is useful to Hoffman, because it stresses the mere purposes of mobilisation, and not a withdrawal from the socialist ideology. Brooks continues to raise another important theme, which advances Hoffman’s claim. Brooks explains the relevance of Stalin as provider of “the gift”. Brooks introduces his conception of a “moral economy”9 which deeply resided in Soviet culture during Stalin’s time of influence. The demand for society to acknowledge Stalin’s unprecedented influence in the production of social and economic prosperity was met with an expectation for citizens to repay this favour through hard work and conformity. Hoffman would argue that this constructed power dynamic was a means of enhancing the socialist state by use of traditional ideals and understandings of power. Jeffrey Brooks states that although Stalin acknowledges the contradictions of an authoritarian personality cult in a socialist society, he used it to promote a very unique and precise understanding of state legitimacy and authority. This new understanding of power was used to shape a unified national agenda, with a new understanding of Soviet society, and national identity.10 The legitimacy of orders from institutions replaced the need for rational explanations of behaviour or orders from the state. 11 Brooks makes this point, because this rhetoric remained central in legitimising Stalin’s authoritarian style to governance. Hoffman would argue that this constructed understanding of state legitimacy was used to strengthen the socialist infrastructure in the Soviet Union. imagination. She argues that since Russia’s Christianization (988), the Russian sovereign was both head of the Russian Orthodox Church and the head of the state12. Thus historically, Russia was used to being centered on a single person, and a retreat to this conventional understanding of authority was greatly advantageous for Stalin. Another question that Brooks and Hoffman fail to address is the extent to which the Soviet population bought into and supported the reconstructed Soviet culture. Hoffman briefly mentions that some members of the military, party and Stakhanovite workers held a genuine reverence for Stalin. Hoffman also highlights that many also privately criticised Stalin and the cult. He adds, “much of the population viewed Stalin and other leaders as oppressors rather than benefactors.”13 However this point remains underdeveloped. Perhaps Brook and Hoffman’s arguments may have been more convincing if their research had comprised of a greater level of qualitative methods such as readings from private letters, diaries and other personal documents. One text that does this well is Nora Dudwick’s “When Things Fall Apart”. Dudwick offers an analysis of poverty in the Soviet Union through a number of first hand interviews and readings of personal contemporary texts, and proves that qualitative research can offer a useful insight.14 Both Brooks and Hoffman’s arguments could benefit from implementing some of these research methods, in order to give a more humanist understanding of the period covered. This conception complies with Hoffman’s understanding on the demise of the Soviet Union. Hoffman claims that state led attempts to change people’s lifestyles and values through coercion and violence ultimately led to the dissolution of the Soviet Union. He continues to say “social change must be gradual and consensual, as violence only achieves superficial change and failed to change the way people thought.”16 Brooks and Hoffman agree that the authoritarian nature of the Soviet Union greatly hampered it from flourishing and achieving the social harmony that it set out to accomplish. Brooks and Hoffman offer insightful conclusions, however neither authors offer an explanation into the nature of Stalin’s terror nor the extent of coercive measures conducted by the state. Although neither book intend to narrate the coercive measures of the Soviet Union, some general background would be useful for some readers. Readers without a pre-existing understanding of the level of oppression conducted by the Stalinist state may find their arguments unconvincing. Both ‘Thank You, Comrade Stalin’ and Hoffman’s ‘Stalinist Values’ have provided a great contribution in the study of the Soviet Union, and its attempts to create a unique, stringent and powerful cultural understanding of state authority. However, because both texts deal with such a wide scope of study, they can at times allocate too much emphasis on the collective at the expense of personal experience, which can provide relevant and useful insights. An adoption of a balanced approach to the use of qualitative and quantitative research methods may have benefited both arguments. Although both texts require development in some areas, they provide a number of conclusions that are difficult to scrutinise. In particular, Jeffrey Brooks’s convincing claim that Stalin was able to use traditional and popular understanding of power to enhance the hyper-centralisation of the state and create a new cultural understanding the Soviet Union. David Hoffman offers an engaging contribution to the Great Retreat debate, and presents many plausible reasons to support the notion that the Soviet Union remained fundamentally socialist throughout its existence. Brooks, Jeffrey. Thank You, Comrade Stalin! : Soviet Public Culture From Revolution To Cold War, (Princeton University Press: New Jersey, 2000). Dudwick, Nora. When Things Fall Apart: Qualitative Studies of Poverty in the Former Soviet Union, (World Bank Publications: Washington, 2002). Hoffman. L. David, Stalinist Values: The Cultural Norms of Soviet Modernity 1917-1941, (Cornell University Press: New York, 2003). Plamper, Jan. The Stalin Cult: A Study in the Alchemy of Power, (Yale University Press: Connecticut,1970). Timasheff, Nicholas. The Great Retreat: The Growth and Decline of Communism in Russia, (Ayer Co Publishers: New York, 1972). The recent raptures surrounding the futures of the Central European University in Budapest and the European University at St. Petersburg have deservingly catered for the creation of a renewed sentiment of solidarity amongst a worldwide web of academics, higher education institutions and organisations defending academic freedom, any by extension, the freedom of thought. 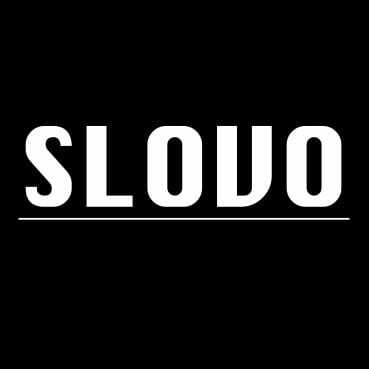 SLOVO Journal, here at the UCL School of Slavonic and East European Studies, joins in with the effort to safeguard our fellow colleagues, struggling in the face of oppressive policies. We would like to extend UCL’s invitation to our readership and welcome all those who believe that freedom of thought should not be subservient to state boundaries or illiberal mandates of power. Thought is timeless, the rest – not so much. 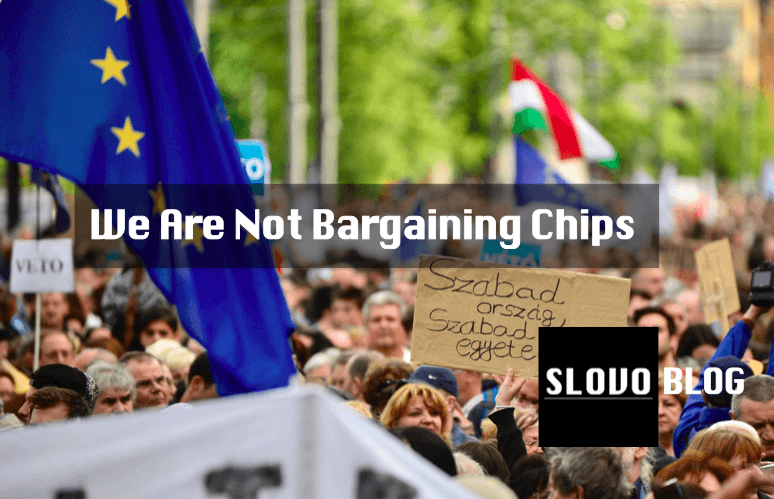 We, the people who think, are never to be used as bargaining chips. Meet us on the 26th April 2017, be by the main UCL Quad, in front of the Portico, where speeches from leading UCL Academics will take place. As though to prove the relevancy of Janion’s pessimistic view of contemporary Poland, an emotionally charged and intoxicating debate has been unfolding in the Polish media. Similar to the 1990s popular, anti-feminist backlash in the West (mainly the USA and Britain), two ontologically opposing camps are at loggerheads in Poland: the conservative right alongside the Church versus the feminists. With fear-mongering banners and statements such as ‘Gender=666’ and ‘Gender- the devastation of man and the family’ strung across buildings and scattering the news, it is clear that a war has been declared against “Gender ideology”. Like most meaningful political and social concepts, Gender theory has been notoriously difficult to define and is largely in the process of transformation and revision. Having been sculpted by post-structuralist thought, it has criticised putative concepts we deem rigid and “natural”, such as sexual identity, illustrating the oppressive capabilities of socially constructed “norms”. The rather abstract nature of Gender construction has led, unfortunately, to an easy manipulation of meaning by Catholic conservatives and right-wing politicians in Poland. In the 29December 2013 annual ‘Feast of the Holy Family’ for Roman Catholics, the Polish Episcopate publically declared in its Pastoral letter that Gender was the official enemy of the Church. The Episcopate paints a conspiratorial picture of a parasitic ideology that infiltrates various social structures, such as education and health systems, without the consent or knowledge of Poles. Perceived as an accumulation of foreign concepts, including radical feminism, Communism and eugenics, Gender is seen as destroying Polish families and over-sexualising children. The final version of the letter, currently available online, is milder than the original, previously entitled ‘Gender ideology risks the family’. It was revised aftera moderate Catholic weekly, Tygodnik Powszechny, published the draft showing the original inflammatory edits. The more extreme and exotic claims from the Polish Catholic church entail the vilification of various international institutions, blamed for leading the Gender conspiracy. There is a widely held belief that the Council of Europe’s ‘Convention on preventing and combating violence against women and domestic violence’ is the vehicle through which Gender ideology penetrates the Polish society. According to the Episcopate this Convention is allegedly breaking down the education system in Poland in order to force homosexuality and transgender education on children. More audacious claims insist that the WHO is even promoting masturbation in Primary schools. This was further echoed in a lecture held in the Sejm earlier this year by the theology Professor and Priest Dariusz Oko, ubiquitously present in the media for his extreme, anti-Gender views. These views are not however uniquely held and promulgated within religious circles. In the political sphere, Conservative politicians have also voiced their contestation, forming a new parliamentary group in January this year named ‘Stop Gender Ideology’. Open to any MP regardless of political party affiliations, the aim of this group is to defend human sexual identity and work towards legislative changes to defend the rights of traditional families and support family-friendly policies. Beata Kempa, in the past a member of the right-wing Law and Justice Party before forming a new right-wing party United Poland, is a current President of an almost entirely male-membered group, with plans to promote the anti-Gender campaign during sixteen conferences across Poland this year. As stated by Małgorzata Fuszara, a sociologist and head of Gender Studies at Warsaw University, there is a deliberate intellectual laziness in comprehending Gender to further the Church’s self-interests. Luckily, in the majority of reputable Polish media outlets the weaknesses in the Church’s arguments have been ardently pointed out. Polish Feminists, university Professors, philosophers and politicians have strongly opposed the Church’s conflation of the ills of society into this fictive “Gender ideology”. Magdalena Środa, a philosophy Professor, feminist and columnist for Gazeta Wyborcza, has vehemently discredited the Church, outlining how it is using scare tactic propaganda against Gender as a distraction from the contentious issue of paedophilia. By alluding to foreign supranational entities, for instance, the responsibility for “society’s evils” is by virtue of exogenous factors out of the Church’s control. It is no coincidence that the anti-Gender debate comes at a time of moral crisis for the Church as scandals of child molestation and ill-treatment of children by religious officials effectively dent its former image as the nation’s moral compass. It is important, however, to highlight that this debate is not unique to Poland, or Eastern Europe, for that matter; a similar debate led by religious and political right groups is also currently unfolding in France. Alongside the current economic crisis and uncertainty regarding the future developments of the European Union, there is a pull amongst populations towards a form of stability. For many this means reinforcing the historically cemented roles of the family and the reassuringly fixed structures provided by Catholicism. 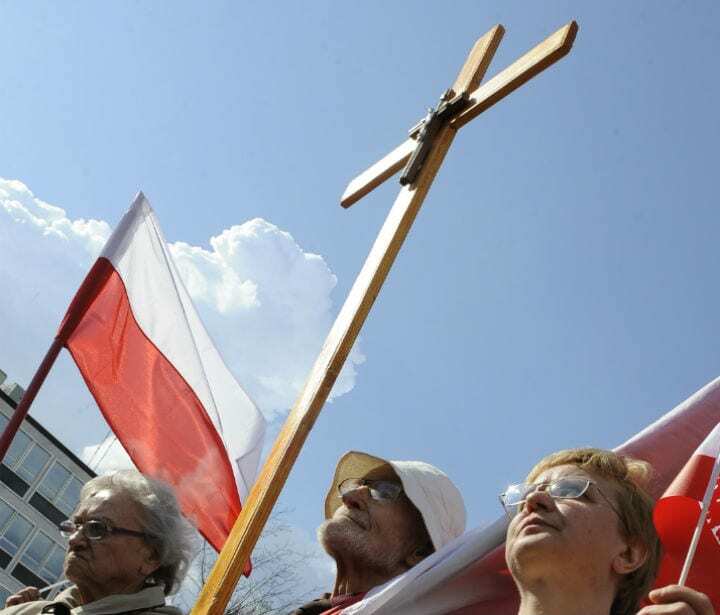 The debate in Poland is thus illustrative of the stronghold of staunch Catholic religiosity playing a crucial role in the self-identification of Poles. For many Polish feminists it is also a reminder that Poland’s democracy is still male and proudly sporting a clergyman attire. The perturbations in Ukraine we see these past months are just an episode in its long history of finding its place in the region’s geopolitics, of fighting to be heard amidst the overwhelming national politics of its neighbors. Hannah Phillips looks at another historical juncture in Ukrainian history – Ukrainian minority under Poles in interwar Europe. Many Western observers have framed the ongoing protests in Kiev as a desperate call of the Ukrainian people to their government to focus its efforts on working towards membership in the European Union. While this narrative has been criticised by scholars for its attempt to oversimplify the motivations of the numerous groups constituting the ‘Euromaidan’, a desire to belong to a broader European community has undoubtedly been frequently voiced by Ukrainian opposition leaders. Throughout history Ukrainians have been forced to live in less benign types of supranational formations than the EU. Tsarist Russia, the Austro-Hungarian Empire and the Soviet Union all had a colossal impact on the shape and identity of the Ukrainian nation. In this article we would like to take a brief glimpse at another ‘forced union’ in which a large portion of the Ukrainian people lived for over two decades of the 20th century – the Second Polish Republic. Poland regained its independence in 1918 after 123 years of being torn between three multi-national empires. Every aspect of unification presented a daunting task in the construction of a coherent state. Alongside such obstacles lay the question of nationhood. During the Paris Peace Conference, newly drawn frontiers across Europe placed many inhabitants at odds with the majority population in race, language and religion, creating ‘minorities’. The Second Polish Republic was no exception. The 1921 National Census data revealed that minorities constituted approximately a third of all citizens; Ukrainians were the largest minority, making up 14.3%. The Ukrainian population mostly dominated one area of Poland, namely the Kresy (Eastern borderlands), which today lie outside of the Polish border, mostly within the modern states of Ukraine and Belarus. 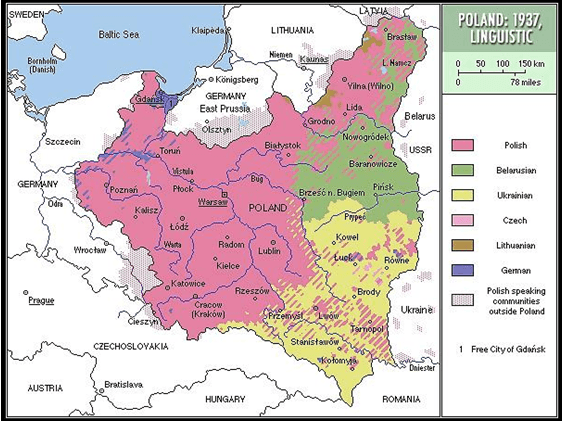 Taking language usage as an indicator for population distribution, the following map provides a visual overview of minority-concentrated areas in Poland in 1937. ‘Minority’ Ukrainians often constituted actual majorities in provinces such as Stanislawow (69.8% in 1928) and Volhynia (68.4%). The long history of coexistence of Poles and Ukrainians was punctuated by episodes of violence and conflict. The most famous of these was the bloody Khmelnytsky Uprising of 1648, during which Orthodox Ukrainian Cossacks rebelled against Polish Catholic magnates. The disputes persisted throughout the next centuries, with ownership of land a particular bone of contention. At the beginning the 20th century, under the Habsburg monarchy, about 4,000 Polish families owned as much lands as three million former Ukrainian serfs. Territorial claims thus inevitably fed into the bitter relations between Poles and Ukrainians in the interwar period. After the First World War, Polish independence enflamed Polish-Ukrainian tensions centering on Eastern Galician territory. The 1918 Ukrainian coup in Lwów set a precedent for future clashes, especially when the Treaty of Riga ceded Galicia to Poland. Eastern Galicia became a hotbed of discontent as Polish authorities dismantled institutions, dismissed Ukrainian officials from the civil service and renamed the province to Małopolska Wschodnia (Eastern Little Poland). Furthermore, Ukrainians were in the majority in Eastern Galicia, and had developed a national consciousness, driven under Habsburg rule by a small but robust intelligentsia. The Polish government did not, however, entirely oust its Ukrainian minority. 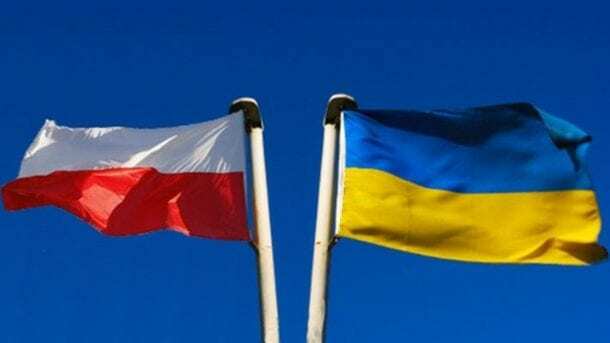 Poland signed the Minority Treaty, albeit begrudgingly, guaranteeing certain civil, judicial and political rights to the Ukrainian minority. Concessions were initially granted so Ukrainians were able to manage their own religion, press and political parties. Ukrainian deputies and senators sat in the Parliament and a daily Ukrainian-language newspaper, the Dilo, was published. Yet this did not settle Ukrainian nationalist resentment towards Poland. Polish coalition governments increasingly disputed the provisions of the Minority Treaty, and led a polonization of Ukrainian schools and local governments. In response, Ukrainians became increasingly militarised, creating groups like the Ukrainian Military Organisation (UVO) which instigated terrorist activities such as the 1921 attempted assassination of Józef Piłsudski, Poland’s Chief of State. Furthermore, attempts by Ukrainian parliamentarians to collaborate with the Polish state were undermined by underground nationalist movements. In the 1930s these movements launched a widespread terrorist campaign where terrorist acts, such as arson and disruption of transport, intensified precipitating the brutal “pacification” operation led by Piłsudski. Social stability was, therefore, inhibited by the self-propagating nationalist discourse between nations and the state. Polish-Ukrainian relations remained tense throughout the interwar period. As outlined by Ernest Gellner, the concept of the nation serves to culturally homogenise a population and legitimise a state’s ability to govern. This need for unity comes to the fore in times of crisis, such as after a war. Poland’s patchwork of converging nationalities, made nation-building a political problem reflected in dealings with the Ukrainians. The lack of any real integration policy made this a permanent issue throughout the interwar period. Polonization, internal armed conflict, and populating Ukrainian lands with Polish settlers deepened the divide. This prompted a growth in minority support for nationalist groups opposed to the exclusionary Polish state. This in turn fed into further minority persecution from fear of a foreign threat to Polish independence. The minority problem was thus not ever resolved but merely perpetuated. Poland was not alone in confronting ethnic clashes. Most Eastern European states were dealing with a highly nationalist discourse of interwar Europe, afflicted by economic downturn and social demoralization. The idea of a homogenised nation along racial lines became the focus for consolidating an independent Poland, and xenophobia thrived. One cannot, however, entirely blame Poland for failing to deal with the explosive nationalist discourse. Previously multi-national empires had failed to manage nationalist antagonism for hundreds of years. Poland, like many other Eastern European states with regards to its minorities, was undergoing the dress rehearsal for WWII; skilfully capturing human nature’s nefarious capabilities when nationalism and xenophobia are left to take root and flourish. 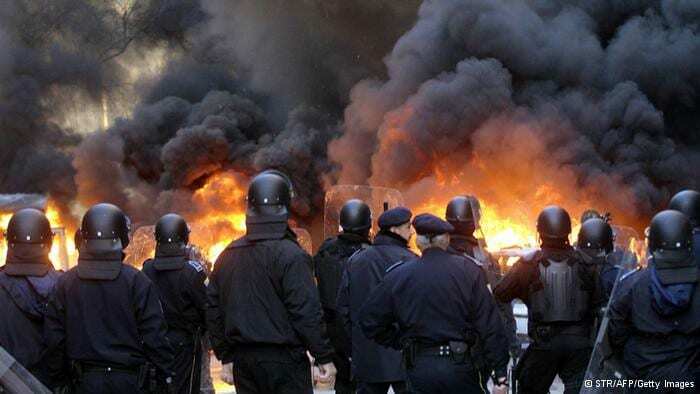 In the past few days, Bosnia-Herzegovina has experienced the most extensive unrest since the end of the war in 1995. The demonstrations were markedly violent in the first days, but on Sunday acquired a more peaceful nature. Milorad Dodik tried to argue that the protests were limited to the Muslim-Croat Federation and thus were the product of problems specific to the Federation, very subtly hinting at the superiority of Republika Srpska’s political achievements. Unfortunately for him, this argument does not stand up to scrutiny, as the main frustrations the protestors have been giving voice to are related to the overall impotence and inherent corruption of the country’s political system as it came into being after the Dayton Accords of 1995. The various lists of demands released by protest groups from Tuzla, Bihać and Sarajevo all specifically state that the protests are opposing the self-enriching policies of the political elites, the reality of which is just as true for Republika Srpska as it is for the Federation. Indeed, protests got underway on Friday in Banja Luka and in Bijeljina on Sunday – the capital of Republika Srpska and its second city, respectively – indicating that the inhabitants of that part of the country identify with the struggle of their neighbours in the Federation. Although these early signs of solidarity between the people of the two entities are encouraging, it is not a decided matter at all if things will continue to develop in this direction. The demonstration in Bijeljina was met by a counter-demonstration of Serbian nationalist youth chanting “No protests in [Republika] Srpska” and “No spreading fire from the Federation of BiH to Republika Srpska” (atvbl.com, 9 February), a sign of tensions within Republika Srpska and a possible hint at future confrontation. Still, the unprecedented cross-country protests may just galvanize the people of Bosnia-Herzegovina and be the start of the development toward a more inclusive social, political and economic system. The international community has an important role to play in channelling the protests into positive, rather than destructive, directions, and the attitude of ever more populist EU/NATO governments will be based to a significant extent on the opinion of their electorates. It is for that reason that I want to give a short overview of the reactions to the demonstrations by some of the largest media, both populist/tabloid and independent/broadsheet, from several different EU countries, as well as the United States and Norway. All translations into English, wherever relevant, are mine. The countries represented are: the USA, France, Germany, the Netherlands, Norway, Austria and, finally, the UK. In the United States, CNN blames the rampant unemployment most of all, while the New York Times identifies the incompetence of the federal and local governments to overcome petty inter-ethnic struggles as the cause of people’s disenchantment. Surprisingly enough, even Fox News puts the focus on protesters anger over politicians’ inter-ethnic quarrelling. In France, Le Monde writes that “the origins of the dispute are not ethnic, not religious, but political and social.” (lemonde.fr, 8 February) Le Figaro puts the blame on the disillusionment of people caused by corruption and political in-fighting. In the Netherlands, the broadsheet NRC explicitly states that the protests are not caused by ethnic antagonisms, while tabloid De Telegraaf names unemployment and political impotence as prime causes of the protests, without mentioning ethnicity. De Volkskrant and Trouw echo this analysis. In Norway, Aftenposten focuses on socio-economic dissatisfaction and both semi-tabloids VG and Dagbladet blame corruption and unemployment. In Austria, populist Krone sees the failure of Dayton and unemployment as the sources of the demonstrations, Kleine Zeitung zooms in on corruption and Kurier finds fault in the en-masse privatization of companies, poverty and the self-enrichment of politicians. Finally, in the UK, the Daily Mail does not report on the protests, while the Daily Express starts out unpromisingly with the title of the article: “Hundreds of police hurt protecting government buildings as Bosnia’s civil war rages on” (9 February). It then pulls a personal emotional quote relating to the 1992-1995 siege from a Sarajevo resident and gets somewhat constricted in its terminology by talking about the “Croat-Muslim Bosniak half of the country” (either Muslim or Bosniak, but not both). All the same, it goes on to mention that there are some protests in Republika Srpska as well and that the demonstrations seem to be caused by disillusionment with the political system. How they are a continuation of the Bosnian civil war, we are all left to wonder, but this is besides the current point. The BBC gives an in-depth report of older Bosnians joining the young protesters to fight for the latter’s future, disproving the possible assumption that it’s just young hooligans out there. The Guardian specifically ascribes the origin of people’s disaffection with the system to the ethnically divided construction of the state and notes the protest in Banja Luka. It is clear that all of the surveyed media locate the origins of the demonstrations in people’s disillusionment with the system as a whole, even though the depth of analysis varies. I am thus cautiously positive about the reporting of the international media so far, seeing as not a single one of them represents the causes of the protests as illegitimate. But most importantly, none of them see the protests in terms of ethnic hatred. Most of them explicitly reject this possibility, while some even discern signs that these protests might just overcome inter-ethnic suspicions and bind the people of Bosnia-Herzegovina together in a struggle for a better life, as many seem to realize that the ethnic division of the country is one of the main reasons that got them into this mess in the first place. If the people are swayed by the media and the governments are swayed by the people, it seems that Bosnians might just get some actual support in the right direction this time around.